Being emotionally self-aware you can recognise and understand your own emotions in a way that becomes second nature. This skill will bring with it many benefits to your working and living environment. The Genos Emotional Intelligence Certification Program is specially designed to make you the expert in applying Emotional Intelligence in the workplace. Further to this, you will learn from internationally recognised experts who develop and apply emotional intelligence with Fortune 500 companies every day. The Genos EI Certification Program is designed for learning and organisational development professionals, human resource consultants or managers, executive coaches, and organisational psychologists. Before the course, you will be invited to complete your own Genos 360° Emotionally Intelligent Workplace Behaviour Feedback Assessment. International Coach Federation certified coaches can earn 10 Core Competency hours and 4 Resource Development hours by completing the Genos EI Certification Program. See our Certification page for a full list of 2018 Certification Dates. 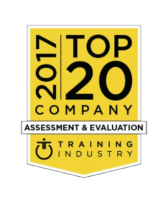 “Are you an External or Internal Business Coach, Consultant or Trainer looking to add a development-focused suite of Emotional Intelligence assessments and training to your business? As Authorised Distributors for Genos International, we are proud to bring the Genos Model of Emotional Intelligence to South Africa. There is a direct link between the way people feel and the way that they perform at work. This is one of the most robust and consistent findings in organisational research. In high performing organisations, people feel significantly more engaged, cared for, valued, proud and motivated than those in low performing organisations. Conversely, in low performing organisations, people feel significantly more fearful, stressed, disempowered and uncertain. Developing Emotional Intelligence abilities enables us to modify our decisions, behaviour and performance at work so that we are thinking our best, behaving our best and productively leading our work groups and teams. 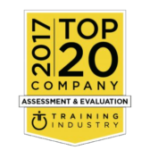 Designed for both Leaders and Individual Contributors, this suite of assessments and training can complement your current assessment/coaching/training/consulting offerings. Note: The two-day course is fully catered throughout each day.